Zone 3. Blue Eyed Grass. Flowers April, May. 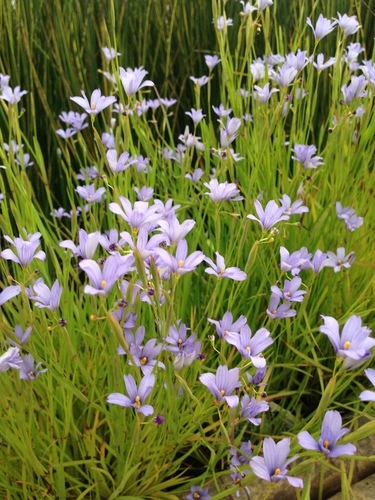 A grass in the Iris family which produces many small blue blooms during spring. 6" to 8" tall.